The value of NBC's various educational programming initiatives of the 1930s and 1940s can't be underestimated. For their time, they were some of the most noble experiments in combining entertainment with education over Radio. The NBC University of The Air and NBC Inter-American University of The Air initiatives, in particular, were conceived and executed with the most noble and altruistic of intentions. And in all fairness to the Columbia Broadcasting System, both giant networks realized the importance of their highly influential positions in mass communication throughout the Golden Age of Radio. CBS and NBC often went head-to-head with their purely commercial productions as well as with their programming in the public interest. In rare cases, during even the most noble of motivations, both networks experienced missteps due to their constant competition with each other. A case in point was the two competing Shakespeare revivals of 1937. Both networks determined to mount competing revivials of the works of the great bard, but in doing so, neither of them produced a production worthy of the material. Both Shakespeare Cycle (CBS) and Streamlined Shakespeare (NBC) suffered from being rushed into production without a great deal of forethought as to the effect on the ultimate productions. And though mounted with the finest talent--and the greatest of intentions, both productions had an Achilles' heel of one kind or another as a result--and both failed miserably at the hands of the public and critics alike. From the mid-1930s forward, CBS had its various incarnations of what they referred to as 'experimental Radio'--cutting edge applications of the emerging technologies, broadcast techniques and more innovative writing of the era with which to 'experiment' over the powerful medium of broadcast Radio. NBC for its part, established its NBC University of The Air as an informal initiative within the company as early as the mid-1920s, recognizing its remarkable opportunity--and obligation--to both entertain and educate with its growing power and reach as a communication medium. With the advent of America's involvement in World War II, NBC executives, in 1942, determined to formalize their NBC University of The Air into two chartered initiatives: NBC University of The Air and NBC Inter-American University of The Air. The former addressing domestic educational initiatives and the latter addressing the growing importance of the United Nations and international diplomacy. As a natural extension of NBC University of The Air, NBC also embarked on several NBC Presents and NBC Theater Presents network-sustained and sponsored initiatives upon reevaluating the success and acceptance of it's University of The Air intiatives of the 1940s. 1948 marked the year that NBC determined that the public was seeking accurate and informative programming, to be sure, but that much of the public audience of the post-War years was somewhat put off by the word 'University' in the titles of such programming. From that point forward, NBC's more prestigious, signature productions bore the "NBC Presents" title in one form or another. Had the series progressed no further than those first thirteen installments, it would have stood as one of Radio's most comprehensive and scholarly backgrounders on the economics, politics, geography, and geopolitical dynamics of Japan's perceived need for expansion beyond the confines of its own territories. Those first thirteen installments drew heavily on the extensive, first-hand background and experiences of Owen Lattimore, Pacific Director of the Overseas Branch of the Office of War information, who for two years served as political adviser to China's Generalissimo Chiang Kai-shek. Willilam Johnstone, Howard McNear, Georgia Backus, Sidney Miller, William O. Douglas, Ian Keith, W.J. Morse, True Boardman, Russell Thorson, Herman Waldman, Peter Chong, Jack Edwards, Jr. The Pacific Story, a new series sponsored by the Inter-American University of the air, will be heard for the first tune Sunday at 11:30 p. m. Entitled "Japan's Dream of World Dominion" the initial program will take Americans into the secret chambers of the complex Jap mind and show why it was inevitable that the United States became involved in the Pacific war. 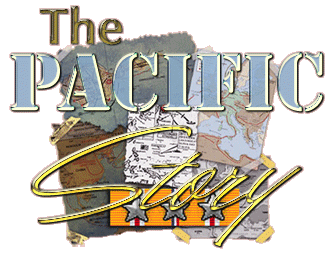 10:30 p. m.  The Pacific Story (WMAQ): new series; "Japan's' Dream of World Dominion." Such keen interest has been shown by educators and students in KFI's "Pacific Story" series about the Pacific basin and its wople that the University of California Press at Berkeley will pubish a digest of the scripts in a special syllabus now going to press. Each program will be closed with authoritative comment by Owen Lattimore, Pacific director of the overseas branch, office of war information, who for " two years served as political adviser to Generalissimo Chiang Kai-shek. A PROGRAM series revealing the innermost secrets of Japan's perfidious plot to conquer the world, and placing before America the true story of the links that bind our destiny to the Pacific, will be launched over KNX tonight at 10:30 as a public service feature. Titled "The Pacific Story" and scheduled for 13 Sundays, the series will feature one of the world's outstanding authorities on the Pacific and its peoples Owen Lattimore, former political adviser to Generalissimo Chiang Kai-shek and now director of Pacific Operations, Overseas branch of the Office of War Information. "The Pacific Story," a weekly series revealing the innermost secrets of Japan's perfidious plot to conquer the world, and placing before. America the true story of the links that bind our destiny to the Pacific, will be heard over NBC and KGNC, beginning tonight at 10:30 o'clock. Scheduled for 13 Sundays, the series will feature Owen Lattimore, former political adNisor to Generalissimo Chiang Kai-Shek and now director of operations, overseas branch of the Office of War Information. 43-07-18 Wisconsin State Journal - 10:30 p.m.--Pacific Story (WMAQ): strategic Alaska. 43-07-25 Wisconsin State Journal - 10:30 p.m.--Pacific Story (WMAQ): Siberia. 43-08-01 Wisconsin State Journal - 10:30 p.m.--Pacific Story (WMAQ): Old China and the new West. 43-08-08 Wisconsin State Journal - 10:30 p.m.--Pacific Story (WMAQ): "The New China." 43-08-15 Wisconsin State Journal - 10:30 p.m.--Pacific Story (WMAQ): Japan's gigantic bluff. 10:30 p. m.  The Pacific Story (WMAQ): "Monsoon Asia  The Geography of Rice and Rain"
on the dramatic KFI story of the Pacific basin and its peoples 'The Pacific Story," are furnished by the screen actor who played the Japanese ambassador in "Mission to Moscow." He is an American-born Chinese; Peter Chong, born in New Jersey. Although a native-born American, Chong was reared in the old Chinese tradition and custom. The fact that he is an expert on Chinese history gives further realism to his Pacific story roles. Pacific Story" series, is one American who doesn't complain about difficulties of today's warime transportation. He once crossed the Gobi desert from China to Turkestan, a distance of 1600 milesby camel. Lattimore was the only white man on the journey, which took five and a half months. 43-08-29 Wisconsin State Journal - 10:30 p.m.--Pacific Story (WMAQ): "Adventurers and International Rivalry." 43-09-05 Wisconsin State Journal - 10:30 p.m.--Pacific Story (WMAQ): "India, from Clive to Gandhi." 43-09-12 Wisconsin State Journal - 10:30 p.m.--Pacific Story (WMAQ): "Islands of the Pacific." 43-09-26 Wisconsin State Journal - 10:30 p.m.--Pacific Story (WMAQ): "The Manchurian Incident and Its Sequel." 43-10-03 Wisconsin State Journal - 11:15 p.m.--Pacific Story (WMAQ): "World War II in the Pacific." 43-10-10 Wisconsin State Journal - 11:15 p.m.--Pacific Story (WMAQ): story of China's struggle against Japanese attempt to destroy Chinese centers of learning; Dr. Ray Lyman Wilbur, Stanford university, speaker. 43-10-17 Wisconsin State Journal - 11:15 p.m.--Pacific Story (WMAQ): "Burma, Land of Conquest." 43-10-24 Wisconsin State Journal - 11:15 p.m.--Pacific Story (WMAQ): "Soviet Asia, a New Human World." 43-10-31 Wisconsin State Journal - 11:15 p.m.--Pacific Story (WMAQ): "The 50 Years Struggle of China for National Emancipation." 43-11-07 Wisconsin State Journal - 11:15 p.m.--Pacific Story (WMAQ): "Philippine Independence." 43-11-14 Wisconsin State Journal - 11:15 p.m.--Pacific Story (WMAQ): "Generalissimo Chiang Kai Shek;" Henry R. Luce, magazine publisher, guest. 43-11-21 Wisconsin State Journal - 11:15 p.m.--Pacific Story (WMAQ): "Australia"; Owen Latimore, Far Eastern authority, guest. 43-11-28 Wisconsin State Journal - 11:15 p.m.--Pacific Story (WMAQ): "The Black Dragon Society." 43-12-05 Wisconsin State Journal - 11:15 p.m.--Pacific Story (WMAQ): "Thailand." 43-12-12 Wisconsin State Journal - 11:15 p.m.--Pacific Story (WMAQ): "Indo-China." 43-12-19 Wisconsin State Journal - 11:15 p.m.--Pacific Story (WMAQ): "Dutch East Indies." 43-12-26 Wisconsin State Journal - 11:15 p.m.--Pacific Story (WMAQ): "Tribute to Jose Rizal, Philippine Martyr." 44-01-02 Wisconsin State Journal - 11:15 p.m.--Pacific Story (WMAQ): "Hawaii--Crossroads of the Pacific." 44-01-09 Wisconsin State Journal - 11:15 p.m.--Pacific Story (WMAQ): Korea's fight for liberty. 44-01-16 Wisconsin State Journal - 11:15 p.m.--Pacific Story (WMAQ): tells how New Zealand voted to join British Empire. 44-01-23 Wisconsin State Journal - 11:15 p.m.--Pacific Story (WMAQ): drama "Nehru of India;" guest speaker, Richard J. Walsh, editor of "Asia" magazine. 44-01-30 Wisconsin State Journal - 11:15 p.m.--Pacific Story (WMAQ): "Formosa--Prize of the China Sea." 44-02-13 Wisconsin State Journal - 11:30 p.m.--Pacific Story (WMAQ): "Little Scrunchneck," story of Homer Lea, the Chinese cripple who rallied his people to win their liberty from the Manchus. 44-02-20 Wisconsin State Journal - 11:30 p.m.--Pacific Story (WMAQ): "The Burma Road." 44-02-27 Wisconsin State Journal - 11:30 p.m.--Pacific Story (WMAQ): "Tojo, the Razor." 44-03-12 Wisconsin State Journal - 11:30 p.m.--Pacific Story (WMAQ): dramatization of life of Dr. Sun Yat Sen, with Pearl Buck, author, guest. 44-03-19 Wisconsin State Journal - 11:30 p.m.--Pacific Story (WMAQ): "Japan's Resources." 44-03-26 Wisconsin State Journal - 11:30 p.m.--Pacific Story (WMAQ): "New Guinea." 44-04-02 Wisconsin State Journal - 11:30 p.m.--Pacific Story (WMAQ): "Bolo Warriors in Philippines." 44-04-09 Wisconsin State Journal - 11:30 p.m.--Pacific Story (WMAQ): "The Kuril Islands." 44-04-23 Wisconsin State Journal - 11:30 p.m.--Pacific Story (WMAQ): "The Myth of the Son of Heaven." 44-04-30 Wisconsin State Journal - 11:30 p.m.--Pacific Story (WMAQ): "Canada on the Pacific." 44-05-07 Wisconsin State Journal - 11:30 p.m.--Pacific Story (WMAQ): story of "Sakhalin," island off the coast of Siberia. 44-05-14 Wisconsin State Journal - 11:30 p.m.--Pacific Story (WMAQ): "The Case of Russia vs. Japan." 44-05-21 Wisconsin State Journal - 11:30 p.m.--Pacific Story (WMAQ): "The Philippine Commonwealth;" speaker, Col. Carlos P. Romulo, acting head, Philippine government-in-exile. 44-05-28 Wisconsin State Journal - 11:30 p.m.--Pacific Story (WMAQ): "Air Transportation in China." 44-06-04 Wisconsin State Journal - 11:30 p.m.--Pacific Story (WMAQ): "Chungking--War Capital of China." 44-06-11 Wisconsin State Journal - 11:30 p.m.--Pacific Story (WMAQ): postponed drama, "Chungking--War Capital of China." 44-06-18 Wisconsin State Journal - 11:30 p.m.--Pacific Story (WMAQ): "The Ainus--Outcasts of Japan." 44-06-25 Wisconsin State Journal - 11:30 p.m.--Pacific Story (WMAQ): "The Chinese Puppet Government." 44-07-02 Wisconsin State Journal - 11:30 p.m.--Pacific Story (WMAQ): "The Bonin Islands." 44-07-09 Wisconsin State Journal - 11:30 p.m.--Pacific Story (WMAQ): "The Overseas Chinese." 44-07-16 Wisconsin State Journal - 11:30 p.m.--Pacific Story (WMAQ): "Will Java Be Free?" 44-07-23 Wisconsin State Journal - 11:30 p.m.--Pacific Story (WMAQ): "Chinese Communists;" gust speaker, Agnes Smedley, author of "Battle Hymn of China." 44-07-30 Wisconsin State Journal - 11:30 p.m.--Pacific Story (WMAQ): "The Japanese Navy," dramatization of rise of the late Admiral Yamamoto. 44-08-06 Wisconsin State Journal - 11:30 p.m.--Pacific Story (WMAQ): "The Amur River." 44-08-20 Wisconsin State Journal - 11:30 p.m.--Pacific Story (WMAQ): "What of Korea," telling of how Japan has tried to stamp out everything that is Korean for the past 50 years. 44-08-27 Wisconsin State Journal - 11:30 p.m.--Pacific Story (WMAQ): a report on Vladiyostok, Russia's Gibraltar. 44-09-03 Wisconsin State Journal - 11:30 p.m.--Pacific Story (WMAQ): "Bose--the Indian Quisling." 44-09-10 Wisconsin State Journal - 11:30 p.m.--Pacific Story (WMAQ): "South Manchurian Railway." 44-09-17 Wisconsin State Journal - 11:30 p.m.--Pacific Story (WMAQ): "China's New Life Movement." 44-09-24 Wisconsin State Journal - 11:30 p.m.--Pacific Story (WMAQ): "Tokyo: Target of the Pacific." 44-10-01 Wisconsin State Journal - 11:30 p.m.--Pacific Story (WMAQ): "Manilla--Pearl of the Orient." 44-10-08 Wisconsin State Journal - 11:30 p.m.--Pacific Story (WMAQ): "China's Little Devils." 44-10-15 Wisconsin State Journal - 11:30 p.m.--Pacific Story (WMAQ): "The Kwangtung Army." 44-10-22 Wisconsin State Journal - 11:30 p.m.--Pacific Story (WMAQ): salutes Chinese army in "The Long march." 44-10-29 Wisconsin State Journal - 11:30 p.m.--Pacific Story (WMAQ): "Hainan: Sentry of the South China Sea." 44-11-05 Wisconsin State Journal - 11:30 p.m.--Pacific Story (WMAQ): "The Filipino Underground." 44-11-12 Wisconsin State Journal - 11:30 p.m.--Pacific Story (WMAQ): "Russia's Strength in the Far East." 44-11-19 Wisconsin State Journal - 11:30 p.m.--Pacific Story (WMAQ): "Japan's Robber Barons." 44-11-26 Wisconsin State Journal - 11:30 p.m.--Pacific Story (WMAQ): "Opium, Curse of the Far East." 44-12-03 Wisconsin State Journal - 11:30 p.m.--Pacific Story (WMAQ): "Manchuria's Puppet Government." 44-12-10 Wisconsin State Journal - 11:30 p.m.--Pacific Story (WMAQ): "Japan's Secret Police." 44-12-17 Wisconsin State Journal - 11:30 p.m.--Pacific Story (WMAQ): story of bombing and Invasion of Nanking. 44-12-24 Wisconsin State Journal - 11:30 p.m.--Author's Playhouse (WMAQ): Cricket On the Hearth. 11 p.m.--New Year's Eve Party (WIBA, WMAQ): with NBC dance orchestras, to 2 a.m.
45-01-07 Wisconsin State Journal - 11:30 p.m.--Pacific Story (WMAQ): "Japan's Highway of Steel." 45-01-14 Wisconsin State Journal - 11:30 p.m.--Pacific Story (WMAQ): "Luzon: Philippine Doorway to Japan." 45-01-21 Wisconsin State Journal - 11:30 p.m.--Pacific Story (WMAQ): "China's Air Force"; speaker, Gen. Mao Pang Chu, chief of China's air forces. 45-01-28 Wisconsin State Journal - 11:30 p.m.--Pacific Story (WMAQ): "The Andaman Islands;" speaker, Gen. H.H. Arnold, commanding general, army air forces. 45-02-04 Wisconsin State Journal - 11:30 p.m.--Pacific Story (WMAQ): "Siberia's People, the Secret of Her Strength." 45-02-11 Wisconsin State Journal - 11:30 p.m.--Pacific Story (WMAQ): "Saipan--Springboard to Nippon," speaker, Brig. Gen. Lauris Morstad. 45-02-18 Wisconsin State Journal - 11:30 p.m.--Pacific Story (WMAQ): "The Yangtze: China's Sorrow and Strength." 45-02-25 Wisconsin State Journal - 11:30 p.m.--Pacific Story (WMAQ): drama on Pan-Islamic movement. 45-03-04 Wisconsin State Journal - 11:30 p.m.--Pacific Story (WMAQ): infiltration in Malaya. 45-03-11 Wisconsin State Journal - 11:30 p.m.--Pacific Story (WMAQ): drama aobut Szechwan, telling of Chinese agriculture. 45-03-18 Wisconsin State Journal - 11:30 p.m.--Pacific Story (WMAQ): "Malacca Strait, Gateway to the South Pacific;" speaker, Admiral Sir James Somerville, commander-in-chief of British Eastern Fleet. 45-03-25 Wisconsin State Journal - 11:30 p.m.--Pacific Story (WMAQ): "The Japanese Dilemma;" guest speaker, Dr. Clayton Glarus, economist and transportation expert. 45-04-01 Wisconsin State Journal - 11:30 p.m.--Pacific Story (WMAQ): "The Ryukyu Islands." 45-04-08 Wisconsin State Journal - 11:30 p.m.--Pacific Story (WMAQ): "Yunnan: Anchor of the Burma Road." 45-04-15 Wisconsin State Journal - 11:30 p.m.--Pacific Story (WMAQ): "Rangoon"; speaker, Sir George Sansome, former governor of Singapore. 45-04-22 Wisconsin State Journal - 11:30 p.m.--Pacific Story (WMAQ): drama, "United Nations Conference." 45-04-29 Wisconsin State Journal - 11:30 p.m.--Pacific Story (WMAQ): "The Philippines Come of Age;" speaker, Sen. Millard E. Tydings on topic, "The Birth of a Nation." 45-05-06 Wisconsin State Journal - 11:30 p.m.--Pacific Story (WMAQ): "The Guards to the Coast of China," story of Formosa. 45-05-13 Wisconsin State Journal - 11:30 p.m.--Pacific Story (WMAQ): "China's Secret Weapon;" speaker, Dr. Wei Tao-Ming, Chinese ambassador to U.S.
45-05-20 Wisconsin State Journal - 11:30 p.m.--Pacific Story (WMAQ): "The Red Banner Far Eastern Armies," speaker, Prof. H.H. Fisher, Stanford University. 45-05-27 Wisconsin State Journal - 11:30 p.m.--Pacific Story (WMAQ): "French Indo-China--Crossroads of Conflict." 45-06-03 Wisconsin State Journal - 11:30 p.m.--Pacific Story (WMAQ): "Mongolia--Strife in Asia's Interior;" speaker, Owen Latimore. 45-06-10 Wisconsin State Journal - 11:30 p.m.--Pacific Story (WMAQ): "Yenan: Citidel of Chinese Communism." 45-06-17 Wisconsin State Journal - 11:30 p.m.--Pacific Story (WMAQ): "Blood for an Outlet to the Sea." 45-06-24 Wisconsin State Journal - 11:30 p.m.--Pacific Story (WMAQ): "Honshu, Heart of Japan," story of Japanese prophet's prediction. 45-07-01 Wisconsin State Journal - 11:30 p.m.--Pacific Story (WMAQ): "Bangkok," tells of Thailand as key to military operations in southeast Asia. 45-07-08 Wisconsin State Journal - 11:30 p.m.--Pacific Story (WMAQ): "The Yellow River--Barrier and Battle Line." 45-07-15 Wisconsin State Journal - 11:30 p.m.--Pacific Story (WMAQ): "Sumatra--Key to the Indies." 45-07-22 Wisconsin State Journal - 11:30 p.m.--Pacific Story (WMAQ): "Japan's Air Power." 45-07-29 Wisconsin State Journal - 11:30 p.m.--Pacific Story (WMAQ): "The B-29, the Japan Express"; guest speaker, Brig. Gen. Lawrence C. Craigee. 45-08-05 Wisconsin State Journal - 10:30 p.m.--Pacific Story (WTMJ): past and future of Korea. 45-08-19 Wisconsin State Journal - 10:30 p.m.--Pacific Story (WTMJ): Gayne Whitman in "The Liberals in Chiang Kai-shek's Camp. 45-08-26 Wisconsin State Journal - 11:30 p.m.--Pacific Story (WMAQ): "The Liberals in Chiang Kai-shek's Camp." Speaker, Lawrence K. Rosinger, research associate with Foreign Policly assn. 45-09-02 Wisconsin State Journal - 11:30 p.m.--Pacific Story (WMAQ): "Hongkong." 45-09-09 Wisconsin State Journal - 11:30 p.m.--Pacific Story (WMAQ): "The Liberals in Japan." 45-09-16 Wisconsin State Journal - 11:30 p.m.--Pacific Story (WMAQ): "The Third Principle," with Rep. Walter Judd as guest speaker; story of Sun Yat-sen.
45-09-23 Wisconsin State Journal - 11:30 p.m.--Pacific Story (WMAQ): "The New Milestone," dealing with Soviet-Chinese pact. 45-10-14 Wisconsin State Journal - Monday 8:00 a.m.--Pacific Story (WMAQ): "Russia Emerges as a Power in the Pacific." 45-10-21 Wisconsin State Journal - Monday 8 a.m.--Pacific Story (WMAQ): "Shanghai, the Gateway to China." 45-10-28 Wisconsin State Journal - 11:30 p.m.--Pacific Story (WMAQ): "Japan's Food Crisis." 45-11-04 Wisconsin State Journal - 11:30 p.m.--Pacific Story (WMAQ): "China, the World's Biggest Customer." 45-11-11 Wisconsin State Journal - 11:30 p.m.--Pacific Story (WMAQ): "France Faces the Music." 45-11-18 Wisconsin State Journal - 11:30 p.m.--Pacific Story (WMAQ): "Australia Comes Out." 45-11-25 Wisconsin State Journal - 11:30 p.m.--Pacific Story (WMAQ): "Thunder in Java." 45-12-02 Wisconsin State Journal - 11:30 p.m.--Pacific Story (WMAQ): "Australia Comes Out." Guest speaker, Herbert Vere Evatt, Australian minister for external affairs. 45-12-16 Wisconsin State Journal - 11:30 p.m.--Pacific Story (WMAQ): "Transport In China." 45-12-23 Wisconsin State Journal - 11:30 p.m.--Pacific Story (WMAQ): "Fireworks in the Philippines;" guest speaker, Bert Silen, former reporter at Manila. 45-12-30 Wisconsin State Journal - 11:30 p.m.--Pacific Story (WMAQ): "The Remaking of Japan." 46-01-06 Wisconsin State Journal - 11:30 p.m.--Pacific Story (WMAQ): "The Buryat Mongols: a Soviet Minority." 46-01-13 Wisconsin State Journal - 11:30 p.m.--Pacific Story (WMAQ): "Thailand Heads Back." 46-01-20 Wisconsin State Journal - 11:30 p.m.--Pacific Story (WMAQ): "New Caledonia: French Stronghold." 46-01-27 Wisconsin State Journal - 11:30 p.m.--Pacific Story (WMAQ): "Help for China's Millions." 46-02-03 Wisconsin State Journal - 11:30 p.m.--Pacific Story (WMAQ): "Japan's Fisheries--What Now?" 46-02-10 Wisconsin State Journal - 11:30 p.m.--Pacific Story (WMAQ): "Mao Tze-Tung, Chinese Communits Leader." 46-02-17 Wisconsin State Journal - 11:30 p.m.--Pacific Story (WMAQ): "The Untouchables of India." 46-03-17 Wisconsin State Journal - 11:30 p.m.--Pacific Story (WMAQ): "Hanoi: French Headquarters in the Pacific." 46-03-24 Wisconsin State Journal - 11:30 p.m.--Pacific Story (WMAQ): tells of importance of Australia's steel mills during the war. 46-03-31 Wisconsin State Journal - 11:30 p.m.--Pacific Story (WMAQ): "Hawaii--the 49th State;" guest, Joseph Farrington, delegate from Hawaii to congress. 46-04-07 Wisconsin State Journal - 11:30 p.m.--Pacific Story (WMAQ): "Korea". 46-04-14 Wisconsin State Journal - 11:30 p.m.--Pacific Story (WMAQ): "The Chinese Giant Awakens." 46-04-21 Wisconsin State Journal - 11:30 p.m.--Pacific Story (WMAQ): "Famine in India." 46-04-28 Wisconsin State Journal - 10:30 p.m.--Pacific Story (WMAQ): "Manchuria--Tinderbox of the Far East." 46-05-05 Wisconsin State Journal - 10:30 p.m.--Pacific Story (WMAQ): "Ceylon;" guest speaker Lennox A. Mills of Minnesota university. 46-05-12 Wisconsin State Journal - 10:30 p.m.--Pacific Story (WMAQ): "China Harnesses the Ancient Yangtze." 46-05-19 Wisconsin State Journal - 10:30 p.m.--Pacific Story (WMAQ): "Borneo." 46-05-26 Wisconsin State Journal - 10:30 p.m.--Pacific Story (WMAQ): "The Long White Cloud." 46-06-02 Wisconsin State Journal - 10:30 p.m.--Pacific Story (WMAQ): "Soya Beans: The Milk and Meat of the Far East." 46-06-09 Wisconsin State Journal - 10:30 p.m.--Pacific Story (WMAQ): "The Burma Patriotic Front." 46-06-16 Wisconsin State Journal - 10:30 p.m.--Pacific Story (WMAQ): "Russia Looks To the East." 46-06-23 Wisconsin State Journal - 10:30 p.m.--Pacific Story (WMAQ): "The Heartland of Asia." 46-07-07 Wisconsin State Journal - 10:30 p.m.--Pacific Story (WMAQ): "The Philippines." 46-07-14 Wisconsin State Journal - 10:30 p.m.--Pacific Story (WMAQ): "Jinnah, Divider of the House." 46-07-21 Wisconsin State Journal - 10:30 p.m.--Pacific Story (WMAQ): "Our Job in Japan." 46-07-28 Wisconsin State Journal - 10:30 p.m.--Pacific Story (WMAQ): "Cross Currents in Malaya." 46-08-04 Wisconsin State Journal - 10:30 p.m.--Pacific Story (WMAQ): "Skyway to the Far East." 46-08-11 Wisconsin State Journal - 10:30 p.m.--Pacific Story (WMAQ): "King Jumback of Down Under." 46-08-18 Wisconsin State Journal - 10:30 p.m.--Pacific Story (WMAQ): "Medicine Comes to China." 46-08-25 Wisconsin State Journal - 10:30 p.m.--Pacific Story (WMAQ): Czechwan; China's golden granary. 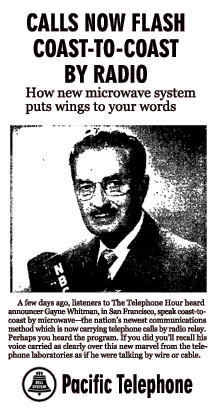 46-09-01 Wisconsin State Journal - 10:30 p.m.--Pacific Story (WMAQ): "The New Voice in the East." 46-09-08 Wisconsin State Journal - 10:30 p.m.--Pacific Story (WMAQ): "Bali." 46-09-15 Wisconsin State Journal - 10:30 p.m.--Pacific Story (WMAQ): "The Pan-Thai Movement." 46-09-22 Wisconsin State Journal - 10:30 p.m.--Pacific Story (WMAQ): "Post-war Alaska." 46-09-29 Wisconsin State Journal - 10:30 p.m.--Pacific Story (WMAQ): "Timor: Pawn of the Pacific." 46-10-06 Wisconsin State Journal - 10:30 p.m.--Pacific Story (WMAQ): "The Celebes." 46-10-13 Wisconsin State Journal - 10:30 p.m.--Pacific Story (WMAQ): Canada Looks to the West. 46-10-20 Wisconsin State Journal - 11:30 p.m.--Pacific Story (WMAQ): "Canton." 46-10-27 Wisconsin State Journal - 11:30 p.m.--Pacific Story (WMAQ): "Our Strategic Needs in the Pacific." 46-11-03 Wisconsin State Journal - 11:30 p.m.--Pacific Story (WMAQ): "Post-war Formosa." 46-11-10 Wisconsin State Journal - 11:30 p.m.--Pacific Story (WMAQ): "Singapore." 46-11-17 Wisconsin State Journal - 11:30 p.m.--Pacific Story (WMAQ): "The Fiji Islands." 46-11-24 Wisconsin State Journal - 11:30 p.m.--Pacific Story (WMAQ): "Tasmania." 46-12-01 Wisconsin State Journal - 11:30 p.m.--Pacific Story (WMAQ): "Guam: New Outpost in the Pacific." 46-12-08 Wisconsin State Journal - 11:30 p.m.--Pacific Story (WMAQ): "China's Wildmen of the Mountains." 46-12-15 Wisconsin State Journal - 11:30 p.m.--Pacific Story (WMAQ): "The Japanese and the Soil." 47-01-05 Wisconsin State Journal - 11:30 p.m.--Pacific Story (WMAQ): conflict between Asiatic peoples in Sinkiang. 47-01-12 Wisconsin State Journal - 11:30 p.m.--Pacific Story (WMAQ): "Storm Clouds Over the Philippines." 47-01-26 Wisconsin State Journal - 11:30 p.m.--Pacific Story (WMAQ): "The Marquesas." Alfred D. Vosburgh was born in Chicago, Illinois. 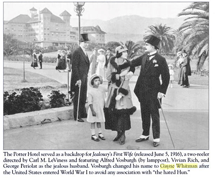 Moving to Hollywood in the early 1910s, Vosburgh soon found himself appearing in character roles in some of the earliest silent films of the 20th century. From the stage to pictures, then, to the stage and again back to pictures is the somewhat colored experience of Gayne Whitman, handsome young leading man, who has recently been signed by Warner Bros, to be featured in several of their forthcoming pictures. For the last four years. Mr. Whitman has been leading man of the famous Morosco Theatre in Los Angeles and the Warners have had their eye on him. As soon as his contract was finished at the Morosco this season, the motion picture producers signed him for a term of years. Whitman is only following the footsteps of Douglas McLean, David Butler, Richard Dix, Warner Baxter and a score of others who have graduated from the Los Angeles playhouse to the screen. Several years ago Whitman left the stage to become a member of the old Thomas Ince stock company at the time they were making one, two, and three reel features. He was later with Vitagraph supporting Corinne Griffith and other stars so that picture work is no novelty to him. Warner Bros. intend to put him out in productions made from the best selling novels and plays. In 1913 the Los Angeles Morosco Theatre (later the Globe) opened with weekly changes of plays, a new format for Broadway. By the late 20s Oliver Morosco lost control of the theatre to the Henry Duffy Players group. This is not to be confused with the Morsoco Theatre in New York. New York's Morosco Theatre opened February 5, 1917. It was owned by Lee and J.J. Shubert and given over to Oliver Morosco to manage as a reward for helping the Shuberts break the Charles Frohman-led Theatrical Trust. Morosco managed the house until 1924. Alfred Vosburgh legally changed his name to Gayne Whitman during World War I, in response to the prejudice associated with German sounding surnames during the era. On radio, Gayne Whitman played the title role in Chandu the Magician (1932), acting, directing and writing much of the series. 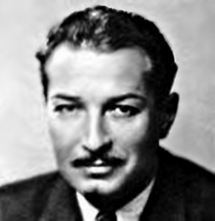 He also wrote the screenplays for many of the Chandu The Magician films starring Edmund Lowe and Bela Lugosi. During a Radio career spanning some 28 years, Gayne Whitman lent his voice and acting talent to virtually every genre of Radio drama imaginable. As he grew older, he began to appear more often as an announcer or narrator in Radio. But Whitman's Film career was truly his most staggering accomplishment. Appearing in some 300 feature films and shorts, from the Silent era, to the 1960s, Gayne Whitman demonstrated a durability and versatility rarely matched in Film. Not only an actor, Whitman was also a prolific screenwriter and Radio writer. Whitman also directed several Stage plays and community theatre productions. When Television beckoned, Gayne Whitman embarked on a third career as both dramatic actor and host/announcer/narrator for another ten successful years. As remarkable a career as Gayne Whitman enjoyed, there remains all too little in the way of a worthy biography of this multi-faceted, multi-talented actor and his amazing career. We hope this article will spark further interest in this great actor's amazing contribution to the Performing Arts.